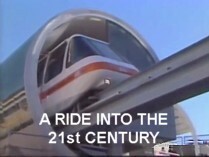 Watch 1988 TNT Harbourlink Monorail Video ! 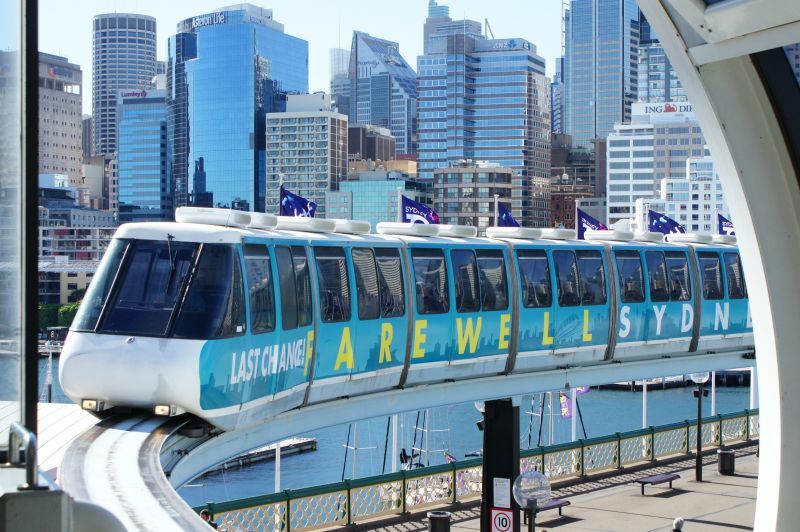 Harbourlink, Sydney's Darling Harbour Monorail, opened on the 21st July 1988, and was closed on the 30th June 2013. The 3.6 km one-way loop line was privately built and financed by transport firm TNT and constructed over 26 months between 1986 and 1988, reportedly at a final cost of $65 million. The line was designed for a service life of 50 years, matching the term of the concession given to TNT to operate it, which expired in 2038. The line eventually had eight stations and originally used six 7-car von Roll Mk3 train-sets. 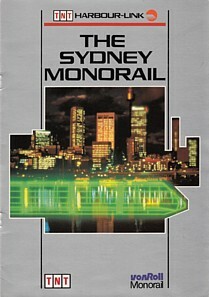 Despite fully covering its operating costs with a high patronage of over 3 million trips per year, the monorail and much of the associated infrastructure has been demolished following the NSW Government's purchase of the line on 23rd March 2012 for $19.8 million, for the purpose of closing and removing it. 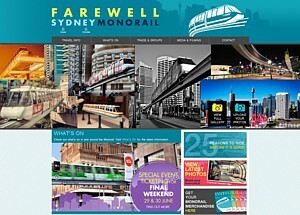 This website has been created to maintain the Darling Harbour Monorail's internet presence which suddenly ended when the www.monorail.com.au website was shut down on the last night of public operation of the Monorail system. In due course much of the photographic, marketing and technical material previously available on this and other related websites, in addition to new material, will be made available here for historic interest. 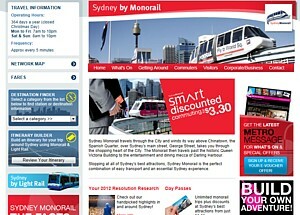 The Sydney Monorail closure website reappeared at www.monorail.com.au on 7th March 2015. Following the Sydney Monorail System closure, the monorail internet domain name was not renewed by Metro Transport Sydney, nor Transdev Sydney, nor the NSW Government, and the domain became due for deletion when the registration grace period expired on the 4th March 2015. The domain went to auction when the name was purged on the 5th of March and was sold for $61 to Elite SEO Pty Ltd, with Karim Khan as the nominated contact. From examination, it appears the farewell web site has subsequently been largely restored from the Internet Archive, based on snap-shots of the original site taken between March and May 2013. However the file structure of the re-created site is not an exact mirror of the original and there are some missing pages and images, due to the limitations of the Internet Archive's mirroring process. The related site metromonorail.com.au was similarly reactived by Elite SEO in February 2015 after it had also expired. The sites are currently hosted on US servers. The Oasis Monorail at Broadbeach Queensland reopened on 18th December 2014 ! The return to service of this vonRoll Mk3 system (similar to that previously serving Darling Harbour) is great news for Gold Coast locals and Australian monorail fans ! Read more from ABC news or the Gold Coast Bulletin. 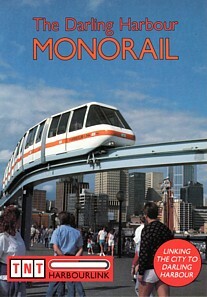 See also the Oasis Centre's monorail web page. This site will also provide regularly updated information on the eleven preserved Monorail carriages, including one complete 7-car Monorail train-set retained for posterity, as a permanent reminder of this visionary and iconic transport system.